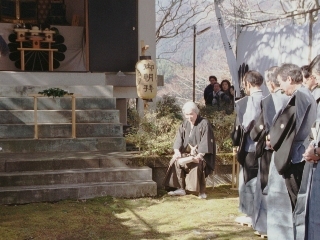 The Southern Court of Japanese Emperor existed until 1392, but it was parmanently replaced by the Northern Court. 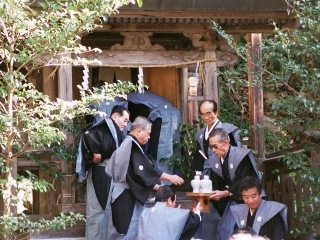 Decendant of Servants for the Southern Court gather on 5th of February annually, and hold a ceremony to commemorate Jitenno, the last leader of the Southern Court. 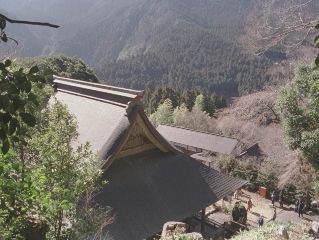 (Left)Kongo-ji Temple in Nara surrounded by deep mountains, where the ceremony is held. 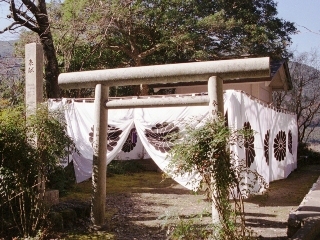 (Right)The treasure house surrounded by curtains with the coat of arms, The Chrysanthemum Throne is painted. 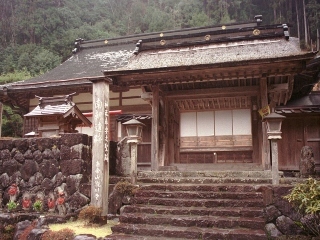 (Left)Ryuzen-ji Temple is said to be the Palace of Jitenno, where his life ended. 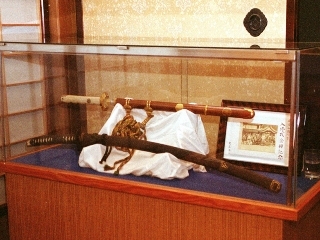 (Right)The sword said to be the regalia "Kusanagi no Tsurugi" kept at Ryuzen-ji Temple. All Photo in Feb, 2000.